Who said Beer is just for drinking? It is so good for cooking too. Enjoy these delicious recipes from the best JAP cooks out there. Thanks Eileen for including one of my recipes in this great cookbook. 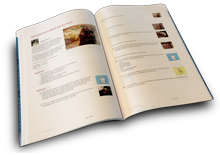 There are some great recipes, and what a wonderful idea for a cookbook. Great idea for a cookbook, Eileen! Thanks so much for adding my Drunken Grilled Cheese recipe!